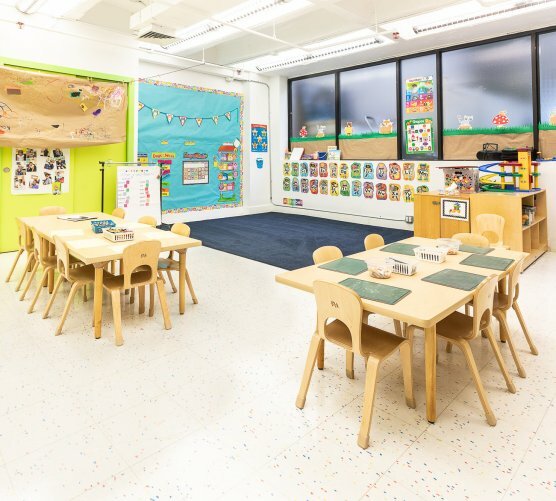 York Avenue Preschool in conjunction with Gymtime Rhythm and Glues has embarked on a mission... to provide our children and staff the most health environment possible, free of dirt, allergens and pollutants. To this end we are using safe, biodegradable, non-toxic cleaning product throughout the facility. We have made improving indoor air quality a priority. The HVAC system has been completely replaced. This system will eliminate 95% of bacteria, pollen, dust and odors from our indoor air. The balance of air flow and room temperature has been equalized and all areas of the facility will have the same temperature. In addition, the carpet is being cleaned by Millicare Carpet Cleaner. This is a dry absorbent cleaning product that will reduce airborne particle level up to 90% and dust mite allergens by 87%. Water filter to improve water quality have been added to all water sources in the facility. These additions are unseen indicators of our dedication to provide all who walk through our doors an environment that is both "friendly" and state of the art. The new Parent Portal of our Website (available Fall 2011) is an attempt to "green" our use of paper. All forms, the calendar, club registrations etc. will be available within the Parent Portal. In addition, look for "Classroom News" on your email each day! 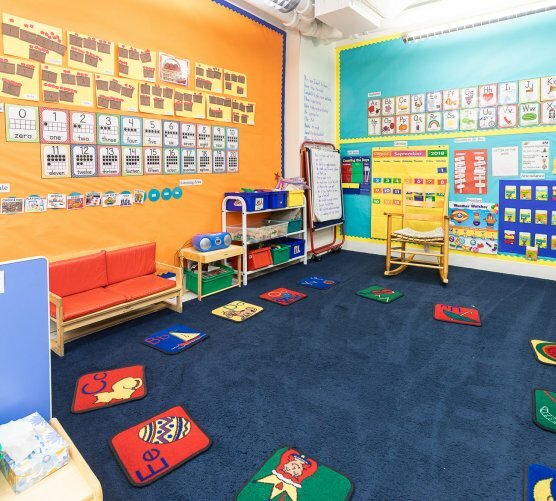 Our facilities are warm and inviting with children's artwork adorning the walls. We celebrate the creativity and curiosity of children. 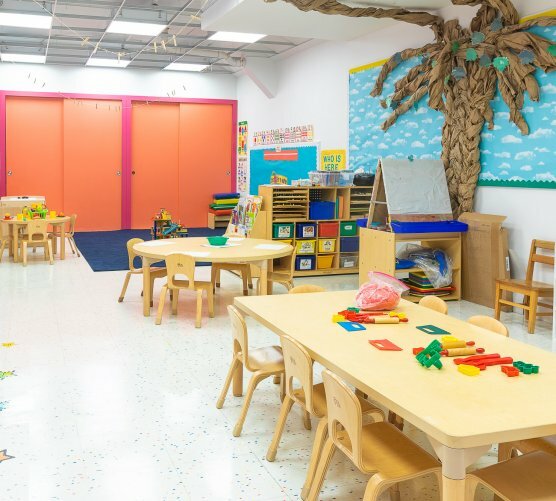 As you enter our lobby you'll feel the energy of a dynamic and distinctive preschool. 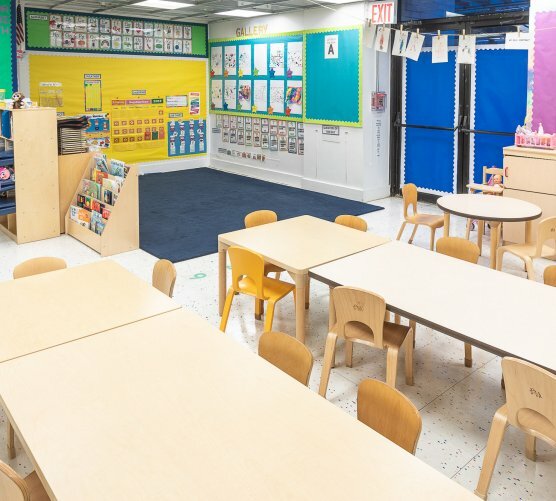 York Avenue classrooms are newly renovated, each with a kitchenette and bathroom. The children enjoy the use of our outdoor playground, located in our plaza. 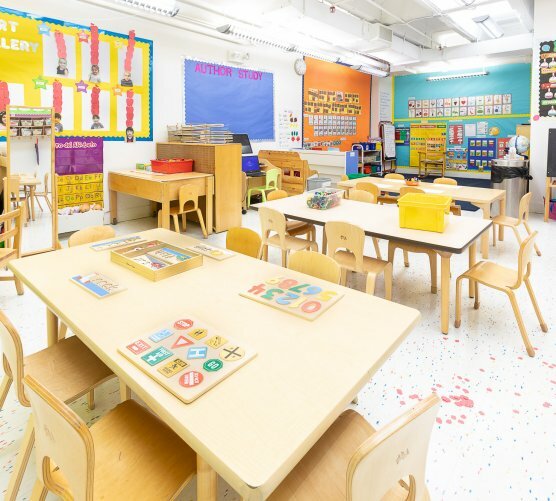 The 25,000-square-foot facilities were personally designed by our co-founders based on their 30 years of experience offering integrated education, sports and gymnastics programs. 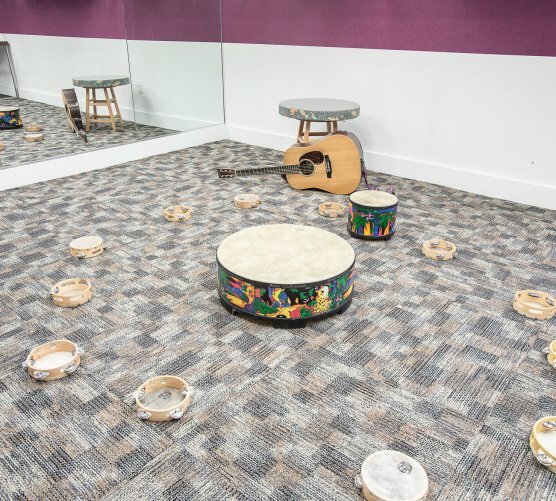 Every room is custom designed with a specific activity, age group and skill development in mind. Our gymnastics center has absolutely no physical limitations and offers the same top-of-the-line equipment that is used at the USA Nationals competition. Our Older Twos and Threes classes utilize the upstairs gym space weekly and the Fours classes visit it twice a week. The Younger Twos use our specifically designed downstairs gym to appropriately support their gross motor development. In addition, the downstairs gym converts into a Yoga Studio that all Threes and Fours classes visit weekly. 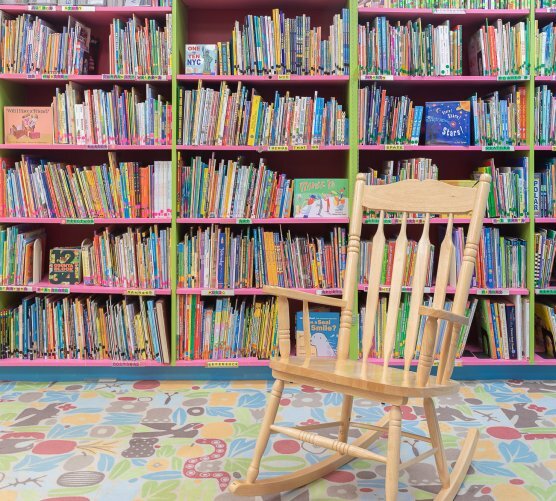 Our beautiful lending library is a welcoming space used by all classes. 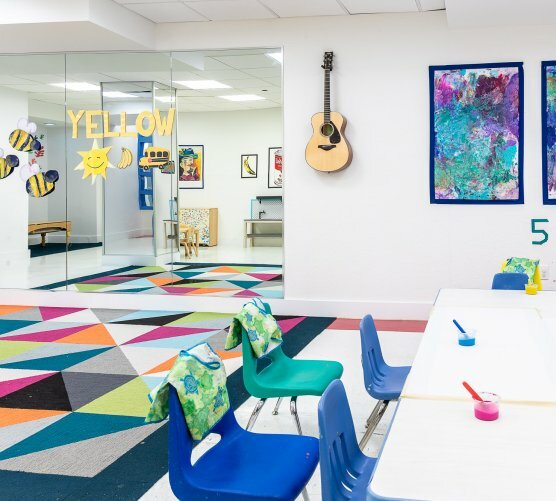 The Art Studio allows children to express themselves creatively. Our newly renovated and expansive kitchen provides a safe space for children to be hands-on in preparing a healthy snack. After school clubs are available for our students in the Threes and Fours in a variety of areas throughout the facility. Drama, Cooking, Gymnastics, and Sports and Fitness are examples of programs typically offered. These clubs extend your child’s day and are available for an additional fee.